Some years ago I was on a Michael Dransfield mission, having heard a poem of his that I was sure referred to Woomera. I found it eventually after trawling through many volumes of his work. Here it is, from his Collected Poems, published in 1987. Dransfield dug deep into ideas around heritage, race, technology and landscape. 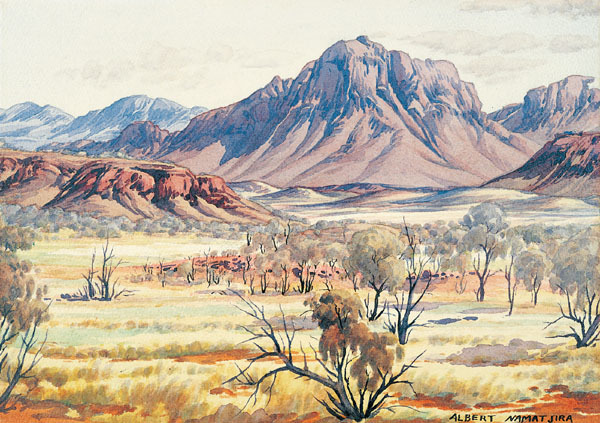 Readers may be struck by his use of a term, once common enough, that is fortunately no longer acceptable in referring to Aboriginal people in Australia. There would be nothing in this poem that is left to chance, and I presume to read this as a comment on the deep legacy of colonialist racism, as well as the impacts of alienation from country. The Army weapons range referred to must, of course, be Woomera. Little has changed, you might think, in the thirty years or so since this was published. what will be left to face the sun? cauterised by cheap wine and promises of jobs. few will protest, for profit eases consciences. from mined and gutted countries anywhere. and so becomes an Army weapons range. As always, I could write a lot about these images from a historical and landscape perspective, but I will leave their interpretation to you, dear reader. Satellites go beyond the limits of human bodies to be our senses in the void. They are conduits of information in the form of signals in different wavelengths, mediated and managed by the hardware of transponders, antennas, modulators, processors, and data storage facilities. Without communication, they have no function, whether this is gathering data from the solar system or deep space to send back to earth, or transmitting terrestrial telephone and television around the planet. These signals are the real purpose of the hardware. Satellites are little knots of materiality in an invisible electromagnetic tapestry. In the nearly 60 years since launch of Sputnik 1, the rara avis has become a veritable flock. There are over 23 000 tracked objects over 10 cm, and over 100 million particles less than a centimetre in size currently located between Low Earth Orbit and the so-called ‘graveyard orbit’, approximately 36 000 km above the surface of the Earth. A mere 6% of these objects are operational spacecraft. 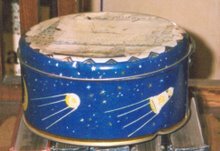 Their chronological range is from 1958 (Vanguard 1, the oldest surviving spacecraft, with its upper launch stage and a loose clamp) until the present time. In weight, the accumulated debris is estimated to be 6000 tons. 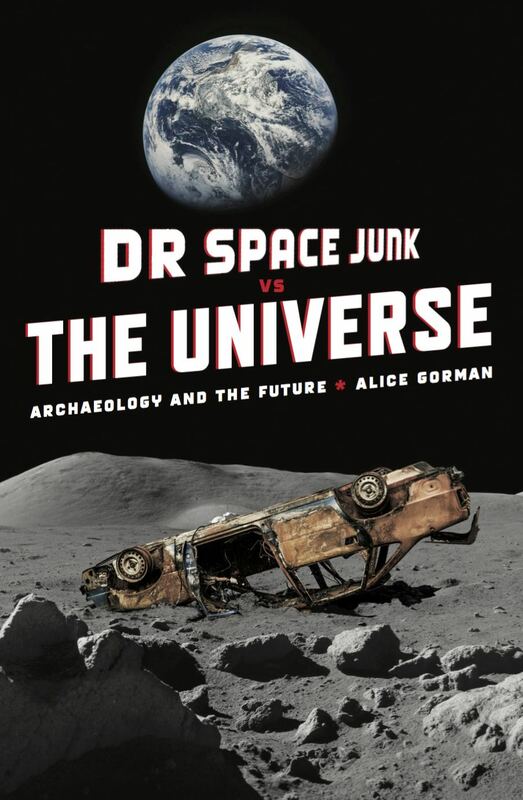 But I argue that this ‘space junk’ represents far more than just a risk or hazard to operating spacecraft and satellites, as it is regarded by space industry, or an all-too-familiar pollution problem: it is the repository of human ideologies and values – capitalist, communist, mercantile, colonial, gendered, scientific, environmental and cosmological. 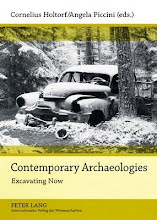 As junk, it is the proper study of archaeologists, who excavate through what is discarded in the garbage heaps of history, to find the significance in what people consider to be without value. I once read a review of Ron Howard’s superb 1995 film, Apollo 13, which made an interesting point: everyone already knew how it ended – and yet you were absolutely on the edge of your seat throughout the recreation of the famous 'Houston, we have a problem' mission. This, as the reviewer highlighted, was a remarkable achievement. When I attended the South Australian premiere of Ridley Scott’s The Martian, based on Andy Weir’s novel, I also knew the ending. Nevertheless, I was as tense as a coiled spring waiting for abandoned astronaut Mark Watney to extricate himself from each fresh disaster, and filled with relief and jubilation as the credits began to roll. There is more in common between the two films than you might think. Both feature astronauts who are at risk of being lost in space, who survive by going back to basic science, with a lot of help from dedicated NASA staff and with the world watching. 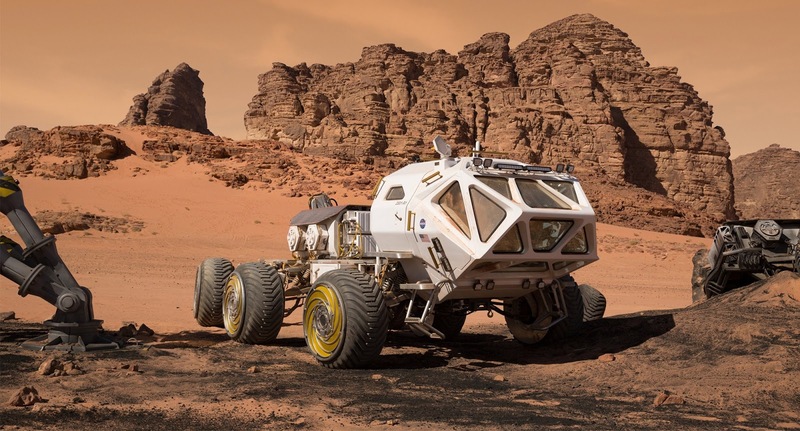 The Martian represents a space program perhaps at the same stage as Apollo 13, but on a different planet. It’s still an experimental, rather than a mature, technology. 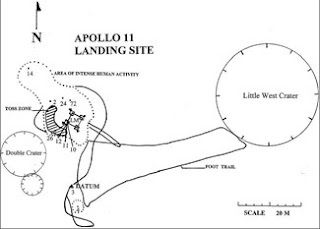 Apollo 13 and Ares 3 are both the third landing missions in their series when they experience these potentially fatal setbacks: a warning not to be complacent about space travel. In fact this is an extraordinary thing: that there have, as yet, been so few human deaths while actually in space. (There have been some fatalities while in spacecraft; the closest to a death in space is the three Soyuz 11 cosmonauts who died during descent). President Nixon’s unused speech, prepared in the event of the death of the Apollo 11 astronauts, is now famous; but it’s surely only a matter of time before some head of state has to use a similar one for a death where the body cannot be brought home. It’s interesting to contemplate what effect this might have on public perceptions of space travel, and indeed of space itself, once a human body has lost its soul in the outer darkness. The first death in space will change everything. For my archaeological eye, there was much that appealed. Watney travels to the Pathfinder lander (launched 1997) so that he can use its comms equipment to contact Earth. There is an obvious echo of Apollo 12’s visit to the earlier Surveyor III robotic lander in 1969. Astronauts Alan Bean and Peter Conrad landed their lunar descent module about 155 metres away from Surveyor III and removed the camera and a couple of bits to take back to Earth, a vital study in how human materials are affected by lunar conditions. In emergencies, future space travellers may well have to cannibalise previous missions for spare parts and other resources. What happens back on Earth is also illustrative: Ares Mission Director Vincent Kapoor has to locate people who worked on the Pathfinder program and boot up old software and hardware so that they can talk to Mark Watney. Knowing about space heritage has its uses after all. The rendezvous with Pathfinder is a vivid cross-cultural encounter with an earlier phase of Martian technology. An analogy might be someone’s chainsaw breaking, forcing them to resort to a ground stone axe to cut wood. In order to leave, Watney has to jettison almost everything from his escape vehicle, the MAV 4. It’s a scene reminiscent of the Apollo ascents, where they similarly had to chuck any excess weight overboard. In both cases, astronauts just threw things outside from the hatches, the haste and chaos of it very at odds with the meticulous planning of other mission activities. 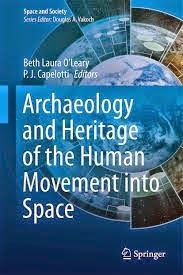 Where the stuff landed is a sort of toss zone (as theorised by Lewis Binford and applied to the Moon by Beth Laura O'Leary), and may well be an archaeological signature of such human ascent sites – on the Moon, and now, mythically, on Mars. The film is very true to the book; what it leaves out you can live with, as it makes for more seamless viewing. It's expertly paced and never dull for a moment. One thing that is very deftly done is some of the explanations of orbital mechanics. Experts explain to dunderheads in the film (and us in the audience) how something will work, using props. Such visual didactics could easily have missed the mark, coming across as forced and clunky, but they work both to explain things to a lay audience and add a little humour. Thankfully, Ridley Scott eschews some of the book’s more laddish, hypermasculine moments, and does not interpose unnecessary romance into story. He also beefs up the role of Commander Lewis in a way that works well for her as a character and adds a bit more substance to a lead female role. However, Kristen Wiig, as the plain-speaking Public Relations Manager Annie Montrose, is not given much to get her teeth into; the role is reduced and wooden compared to the book, and the same goes for satellite engineer Mindy Park. Replacing the Ares Mission director Venkat Kapoor, a practicing Hindu, with the more African-American half-Hindu half-Baptist Vincent Kapoor (played by English actor Chiwetel Ejiofor) is frankly odd. Andy Weir’s efforts at being inclusive were slightly thwarted here. Most of the diversity has to be crammed into one character doing the work of two through bifurcating his name, his religion and his background. Unsatisfying, although those who have not read the book will notice nothing amiss. And of course the Martian vistas are all that you could want. The romance of red planet is writ large across the screen (all the better in 3D). I’ll commit heresy here by admitting that Mars is not my favourite planet. Nevertheless, the beauty and the terror of this alien landscape made me yearn for something greater than life on earth. 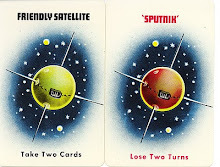 Updated 5 October 2015 to include Soyuz 11; thanks to @dsfportree for an interesting discussion.